Patchwork n Play: Winter is for knitting! What you don't know about me! seaming, but with the help of a friend, I got there. with a scarf, I made a number of years ago! in this silvery grey yarn. Now to baste a quilt, ready for hand quilting! 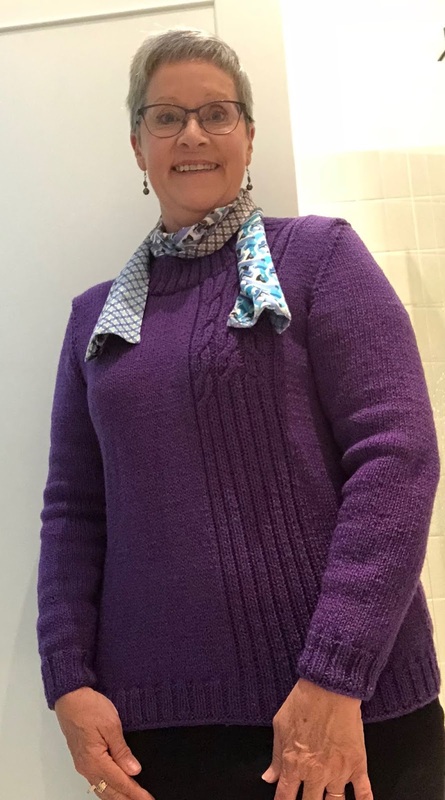 I love the purple colour and the pattern of the sweater. It looks very nice on you. Very complimentary. Gorgeous. That has turned out so well. Your knitting is beautiful. And I love the colour. I'm with you. 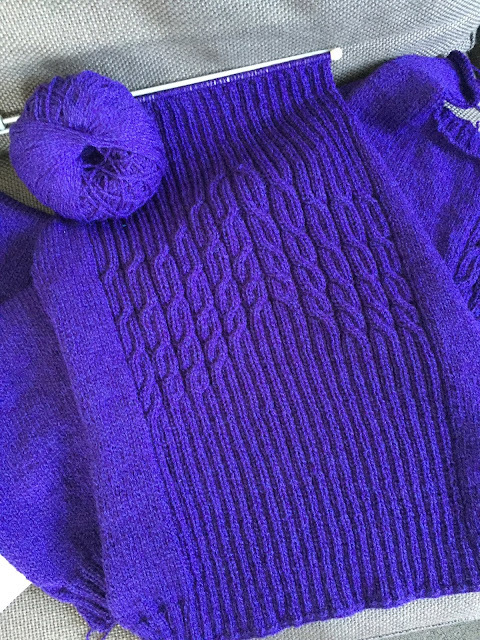 It is perfect to have a knitting project in Winter. Wow! Your sweater is gorgeous! Love that pattern and the color is great on you. Very flattering! Love a cable knit. 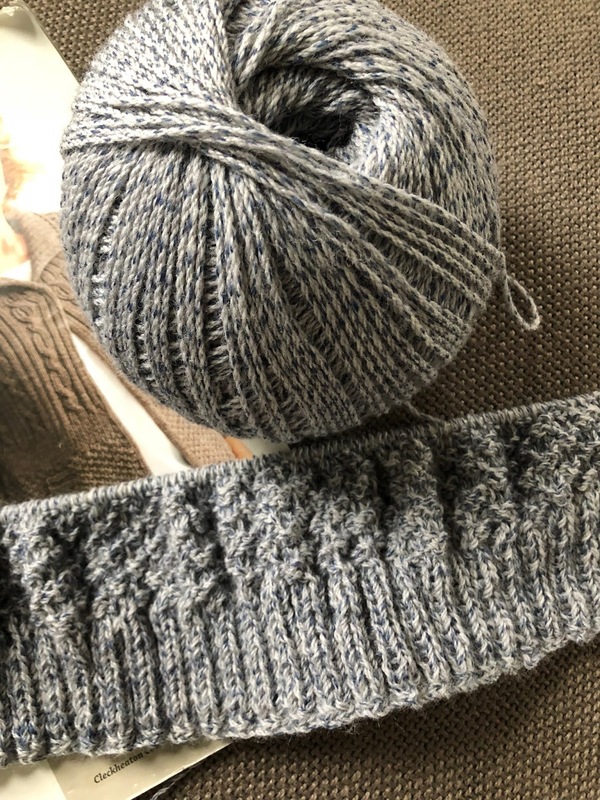 The new silvery yarn looks lovely too. 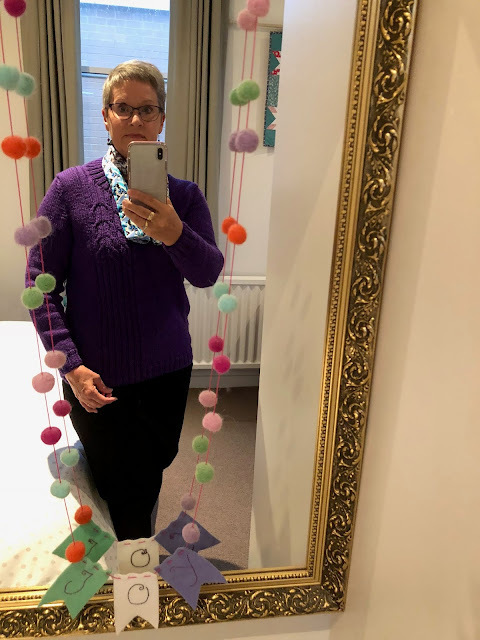 Lovely purple sweater! Beautifully knitted and it suits you so well! I love a good cable jumper in a rich colour! (Yes, even in purple.) This is fab, Susan. You’ll get a lot of wear out of that. So beautiful! 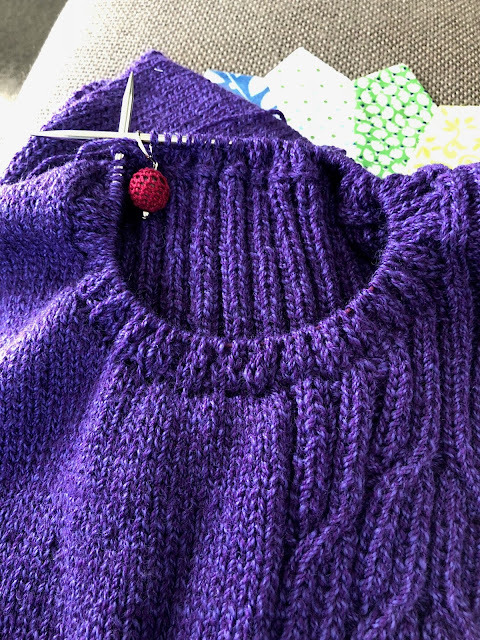 That purple looks great on you--can't imagine knitting a whole sweater. You are so amazing. Please leave a message! I love your feedback! 4. Four-In-Art mini- Microscopic, Music ("Musings"), Purple Passion, "Light,End,Tunnel"
24. "Shelburne Tartan" quilt- again! + and x Friendship Blocks!